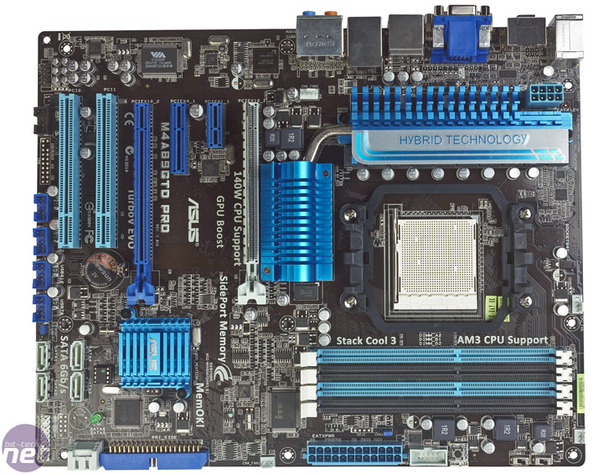 Asus’s latest mid-range motherboard, the M4A89GTD Pro/USB, has a lot going for it on paper. Based on AMD’s newly launched 890GX chipset (the direct replacement for the 790GX), it has a plethora of features and an updated integrated GPU. The 890GX chipset is focused more towards performance, with handy video and audio playback features for a media PC too. This is reflected in the Asus board’s styling, which sports a black PCB and a great palette of blue hues that complement each other well. 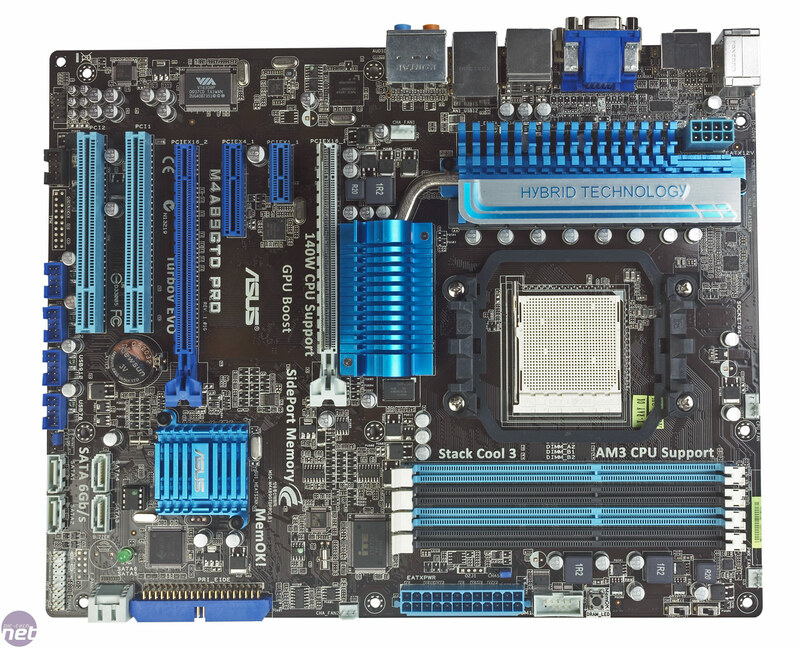 The 890GX chipset, as well as adding an updated Radeon HD 4290, brings with it the SB850 Southbridge and its six SATA 6Gbps connections. AMD has therefore beaten Intel to be the first to support SATA 6Gbps, with Intel planning to introduce support for the faster storage standard later this year. As it is, new Intel boards need to use a third-party storage controller to add SATA 6Gbps support. The Radeon HD 4290 IGP in the chipset is clocked at 700MHz, has 40 DX10.1-compatible stream processors and boasts full UVD 2 support. 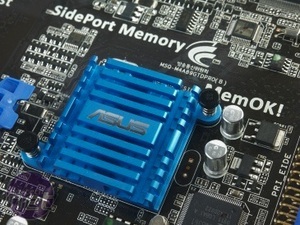 Asus has soldered 128MB of 1,333MHz side port memory next to the chipset. If this all sounds familiar, it’s probably because it is; the only notable upgrade to this IGP over the 790GX chipset is DirectX10.1 support as opposed to 10. The board’s layout is decent, but not perfect. Two of the six SATA 6Gbps ports hug the edge of the board at a 90-degree angle in what we consider to be an ideal location, but the remaining four sit inland. 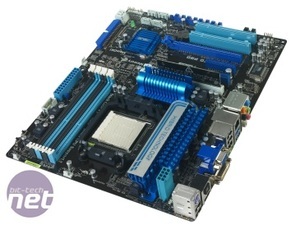 Two are positioned annoyingly close to where a dual-slot graphics card cooler will inevitably sit when slotted into the primary 16x PCI-Express slot (coloured blue). 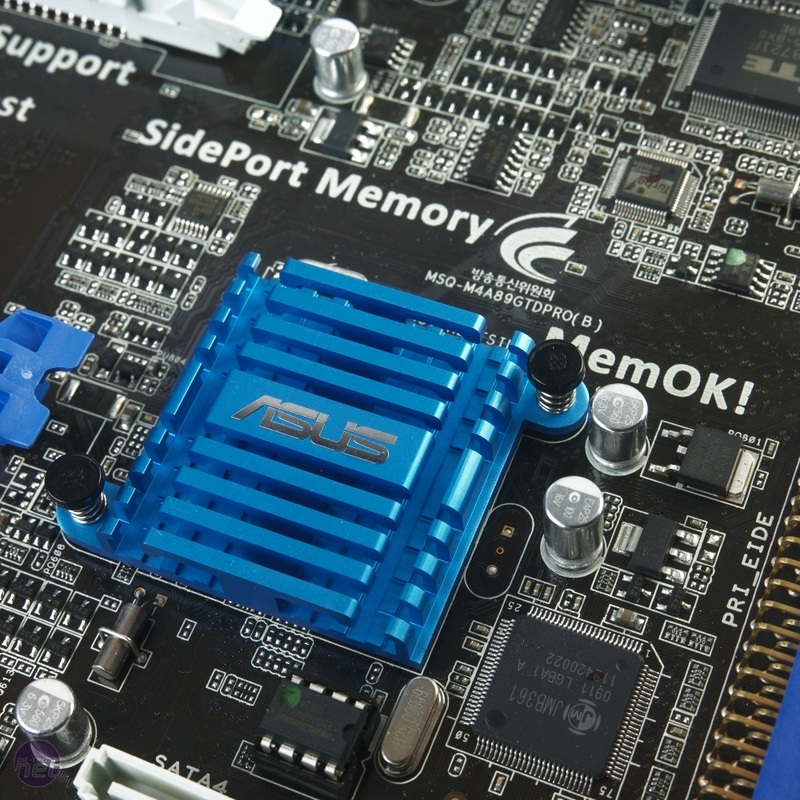 While you can use these ports even with a Radeon HD 5870 installed, if the SATA connectors have clips, you have to remove the graphics card before unclipping the SATA cable. We’d have rather sacrificed the increasingly anachronistic IDE port in favour of better SATA port positioning. Still, there are four SATA ports that are easy to use, so unless you take full advantage of the RAID 0, 1, 5 and 10 capabilities of the Southbridge, you should manage.